Russia and China are modernizing their nuclear arsenals and the U.S. is not. The line is so dramatic and so alarming that commentators have found it useful in justifying all sorts of expansions of U.S. nuclear policy, including more extensive modernization plans, new nuclear weapons, and assertive revisions of nuclear strategy. If these steps are not taken, the most powerful country in the world could find itself subject to coercion, its allies bullied, falling behind its adversaries. This thinking is mistaken on three counts. First, the United States is modernizing its nuclear forces. Second, the U.S. nuclear triad is markedly superior to the Chinese and Russian arsenals. Most importantly, the real danger to strategic stability may not be the U.S. falling behind the modernization of other countries but in racing aggressively ahead. The United States has not taken an “acquisition holiday” in its nuclear arsenal, as Maj. Gen. Garret Harencak recently asserted. 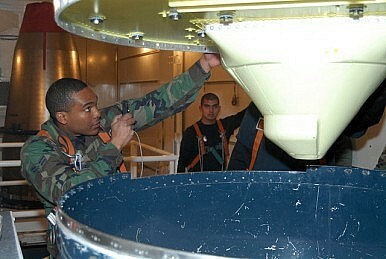 This thought relies on a misreading of the natural nuclear modernization cycles of the major nuclear powers: While many of Russia’s ageing systems are reaching the ends of their service lives in this decade, many of the systems that make up the U.S. arsenal are not due to retire until the 2020s. Rather than “sit back and simply maintain our existing aging nuclear forces,” as Congressman Michael Turner charged, the United States is gearing up a comprehensive modernization program that in many ways exceeds the requirements of time and deterrence. In some areas (including the nation’s strategic bombers and its tactical bombs) the plans would replace existing systems before the older ones need to be retired. In others (like intercontinental ballistic missiles) the services are considering significant upgrades to existing systems. Moreover, the U.S. arsenal has been undergoing continual modernization as necessary, including major upgrades to strategic bombers and recent life extensions of the warheads atop ballistic missiles launched from both land and sea. The U.S. nuclear arsenal is a robust, redundant triad. It consists of highly capable platforms at each leg of the triad and relatively few nonstrategic systems. The upcoming modernization plans will build on extensive experience in designing, constructing, and operating sophisticated stealth platforms. In contrast to the United States, Russian strategic forces are now in the middle of their modernization cycle. Though the Kremlin is modernizing aging systems in each leg of their triad, the Russian arsenal will remain markedly less capable than its American counterpart for the foreseeable future. Even given extensive modernization, a number of question marks remain. One is the trend toward placing more warheads on each launcher. Intended to counteract the U.S. national missile defense system, the result is a level of vulnerability the United States would never accept in its arsenal because each launcher now presents a more inviting target. Furthermore, Russia is retaining many tactical systems that are strategically useless, including torpedoes, depth charges, and short-range ground-launched missiles that could never reach the United States. Lastly, Russia’s ability to fund its modernization program is dubious, given that oil now stands at half the price required to balance the Russian budget. In this environment, and with other military priorities pressing, it will be a major sacrifice for Putin to push ahead with building the nation’s first stealth bomber. At sea, Russia is building eight new Borei submarines to make up for weaknesses in the current fleet. For example, Hans Kristensen has found that in 2012 the U.S. submarine fleet conducted 28 lengthy deterrent patrols to points near to its adversaries’ coasts, while Russia sailed on only five patrols in areas near its own coastal regions, barely enough to keep one submarine at sea at any given time. Yet by the time Russia has rolled out its fleet of eight Boreis, the United States expects to be launching the first of its 12 next-generation submarines. While Russia has flirted with abandoning continuous-at-sea deterrence, the United States plans to replicate a very strict requirement for its own larger fleet of submarines. Since becoming a nuclear power, China has consistently demonstrated restraint in its nuclear force structure and American intelligence estimates have consistently overestimated Chinese capabilities. It is only in the last ten years that China has gained a plausible second-strike capability against the continental United States and only in the last two years that it has developed a triad of nuclear delivery systems by commissioning its first functional missile submarines. Far from a threat to U.S. nuclear supremacy, China’s gradual modernization is only now approaching a modern nuclear arsenal. Overall, the capabilities of Chinese nuclear forces are hardly alarming: the U.S. Office of Naval Intelligence says the new Jin-class ballistic missile submarines are easier to detect than 1970s-era Soviet submarines; the newest DF-31A ICBMs may not have the range to strike Washington; and China’s new air-launched cruise missile is to be carried by Xian H-6 bombers, which were derived from 1950s-era Soviet Badgers that Russia retired from service in 1993. There is little evidence that Russia and China are looking to exceed the American advantage in these areas, or that they could if they wanted to. Instead, many of the modernization programs in these countries are the predictable result of previous American decisions. The new Russian Sarmat heavy ICBM, the shift toward multiple warheads, and the Chinese submarine programs are expected reactions to U.S. deployment of ballistic missile defense systems. Meanwhile, the trend in both countries toward mobile missiles is a response to American conventional superiority and military doctrines that seek to defeat sophisticated defenses and gain access to defended targets. U.S. strategists put these policies in place with full knowledge that they would provoke reactions of this sort. It would be foolish to now attribute sinister motives to expected responses. Given the stability and sophistication of the U.S. arsenal and the vulnerabilities in Russian and Chinese systems, current plans for aggressive nuclear modernization may cause more problems than they solve. It is vitally in the American interest that nuclear weapons are never again used in war. The likeliest path to nuclear use in the coming decades is not that an enemy suddenly launches a surprise attack on the continental United States with superior delivery systems. The greater concern is that a crisis could lead Russia or China to feel that they had been backed into a corner by U.S. conventional superiority and that utilizing a nuclear weapon could, in Moscow’s words, “de-escalate” the crisis. Nuclear forces that could provoke this scenario are destabilizing and could inadvertently lead to nuclear use. The most important steps the United States can take to ensure that nuclear weapons are never used again are those that support a condition of mutual nuclear deterrence and not those that seek to overcome it. The United States is in the enviable position of moving second in this round of modernization. The U.S. should use its position of technological and diplomatic strength to ensure strategic stability at the nuclear level, rather than destabilizing the world in a vain search for a useless supremacy. There has always been an element in American strategic circles that is unwilling to accept the mutual vulnerability that underwrites nuclear deterrence. There will be calls to refuse mutual deterrence with China and to attempt to transcend the condition with Russia as punishment for bad behavior. The United States should resist this urge and instead build nuclear forces that are modest, affordable, and stabilizing. The real danger in U.S. nuclear modernization may not be too little, but too much. Adam Mount is Postdoctoral Stanton Nuclear Security Fellow at the Council on Foreign Relations.